The APPCC is an Association of Pet Crematoriums, Pet Cemeteries, Pet Funeral Arrangers and Suppliers of quality items to the Pet Funeral Sector who set standards to ensure that you, the pet owner, receive the service you expect, carried out the way you want. The pet funeral sector has a very chequered history and many of the services you may be offered have grown out of a need to provide disposal facilities for animals left at veterinary surgeries as well as for vets to dispose of large quantities of veterinary waste. What you want for your pet has sometimes become secondary to these other considerations. The APPCC have always worked for you and set standards to ensure you know exactly what you are getting for your pet and have the freedom to choose who you want to carry out the final service. pet cremations or burials other than a very basic technical standard for the disposal of animal waste products. Therefore you should never rely on Defra, Environmental Health or Environment Agency licensing to give you any guide as to the service you may be getting. The Consumer Protection Regulations set out specific requirements for all services to be fully described but that rarely happens for pet funerals. The old excuse that you would rather not know or that you would not want all the gruesome details is often trotted out. Make no mistake – that is utter rubbish. In a properly run service you can only be assured, not horrified, by the facts. So you have to do some digging yourself to ensure you are getting the service you want and are paying for. This is not easy when you are in a state of shock so make sure you take a step back and have a chance to think about things when you have calmed down. Don’t be rushed by anyone who tries to sell you something when you are in distress but also be aware that you have to make that decision. So wait until you calm down and then consider it carefully. It is a good idea to plan for the eventuality in advance to when the time comes you will not make the wrong decision. If you simply want your pet’s body to be disposed of then you can easily arrange that through your veterinary surgery. But if you expecting your pet’s cremation or burial service to encompass everything from respectful handling , to include the strictest technical procedures and to ensure all the ashes are either returned or go to a respectful last resting place then you must get all the information. Always remember that if you arrange a cremation through your vet then the handling of your pet may not be the same as you receive if you take your pet to the crematorium, even though it is the same firm carrying out the service. This is due to the large number of veterinary surgeries that some crematoriums take on making collection and handling more akin to a waste service than a funeral. Do not be misdirected by glossy brochures and beautiful websites. These can be the tools of the unscrupulous. Remember that information is king and if you are not getting it then you may be best advised to look elsewhere. This is where the APPCC can help you. We set a strict Code of Practice for membership that clearly defines the services you may receive and sets a requirement for our members to make sure you understand everything before deciding on a service. You are also given the time to come to a rational decision. This Code is taken on trust but is legally binding under the Consumer Protection Regulations. You should still go through the details with members to ensure all is as you wish. We now have a new Independent Inspection and Verification for members to voluntarily put themselves through. 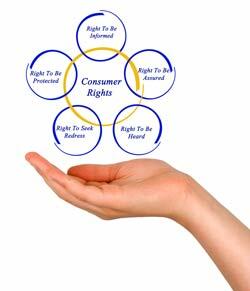 It is based on an expansion of our Code of Practice into a new Consumer Code. This closely examines all aspects of the business to ensure the highest standards of customer care, clarity and quality of service, respectful handling of pets and technical procedures. Members put themselves through this do so to ensure you can have the utmost confidence in everything they do. It makes choosing a burial or cremation service a straightforward procedure, allowing you to focus on how you want to celebrate the life of your pet. Remember there is only one chance to say the final goodbye the way you want so place your trust in people who are committed to making that happen.